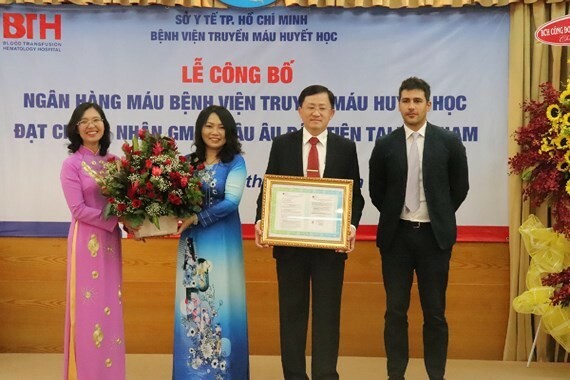 After Ho Chi Minh City-based Institute of Hematology and Blood Transfusion’ Blood Bank had received EU-GMP certification, Vietnam can sell plasma products to its partners in developed countries, said Director of the municipal Department of Health Professor Nguyen Tan Binh. The Ho Chi Minh City-based Institute of Hematology and Blood Transfusion’ Blood Bank yesterday officially announced it has received EU-GMP certification, the first of its kind in the country, marking the city’s progress particularly and Vietnam’s generally. Director of the bank Dr. Phu Chi Dung said through ten years, the bank always ensures enough blood for treatment for hospitals in the city and neighboring provinces. 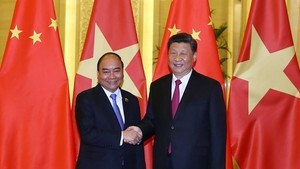 Vietnam will sell blood plasma to European countries and then buy cheap treatment products for poor Vietnamese patients. The certification will facilitate building an EU-GMP-certified blood bank with capacity of one million blood units a year, said Dr. Dung. The bank is the leading facility in the country to supply blood and donated blood units gradually increase. For instance, in 2018, it collected over 260,000 units of blood from 230,000 donors and it made more than 700,000 blood products. Its efforts in improving quality has been rewarded when it was certified EU-GMP on March 4. Since then, the institute can assist the Ministry of Health to build other GMP-certified facilities and other blood transfusion countrywide as well as cooperate with other institutes in the world. Highly praising the bank activities, Director of the municipal Department of Health Professor Nguyen Tan Binh said that with the help of the bank, medical workers will not be reluctant to decide a patient need blood transfusion and contagious diseases and side effects will be lower. The bank will pave the way for plasma production because it will be a waste if Vietnamese hospitals don’t use plasma. Professor Binh said in developed countries, hospitals make best use of plasma to produce immunoglobulin products for patients who need these products. After the bank had been certified, Vietnam will sell plasma products to foreign partners in European countries.